This pop anthem featuring SZA was released at midnight by Jesse Carmichael, Matt Flynn, Adam Levine, Mickey Madden, PJ Morton and James Valentine. 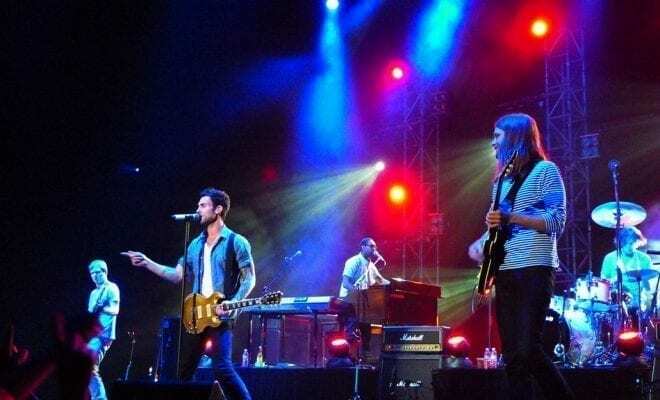 It is the third single Maroon 5 has produced for their upcoming and sixth album. The song was written by Dyo, Levine, Starrah, NEIKED, and Elina Stridh. It was also produced by Ben Billions and Jason Evigan. The up and coming singer, SZA, pairs excellently with Levine’s singing. We are expecting a great future ahead for SZA as she just landed a headlining spot for a North American tour. “Supermodel” is her most popular song as of current and the music video for it is a must see. At this point in time, there still isn’t word on when Maroon 5’s album finally releases. But, he did joke about the possibility of it coming out in November. We have our fingers crossed that it is coming out sooner rather than later. In the mean time, make sure to listen to this tuneful song because it’s definitely a smash. You won’t regret it. Channel 933 Summer Kickoff with Maroon 5, Flo Rida, Wiz Khalifa, Gym Class Heroes & more!